I was diagnosed with having Carpal Tunnel Syndrome at the age of 19 (in 2009, I’m now 23ish 🙂 ). It was severe enough to wear I had to buy computer software to complete my college assignments via voice-text as I could not type without extreme discomfort. I can remember being a junior in high school and in the middle of taking notes experiencing a tingling sensation followed by numbness in my hands…or worse sometimes I’d reach for something and this jolt of pain would shoot all the way up my arm and my hands would just lock up. I would experience panic and then as I would try to flex my fingers I would experience sharp jolts of pain all the way to my neck. It sucked. Worst of all I had no clear idea what was wrong and my age proved to be a strange factor in diagnosing the issue. I tried to fix it by buying wrist braces but it didn’t do very much. By this point I couldn’t even do my own hair. I would try to put it up in a ponytail or flat iron it and my hands could not make it through the entire task. They would almost always lock up and it stressed me out terribly. 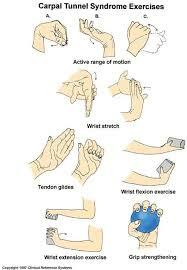 Finally I went to a specialist and many tests later I was finally diagnosed with having carpal tunnel syndrome. To be honest I thought it was something that old and pregnant ladies got. After doing several assessments including a very painful one involving electro-something I was told that it isn’t all that uncommon however they commented that for my age and it’s severity it was strange. Apart from surgery the only real option I was given was a few meetings with a physical therapist, a different pair of hand braces that allowed no wrist movement, and some ibuprofen . Needless to say this didn’t remediate anything and I was forced to purchase the Dragon products so that I could use the voice to text software to complete my assignments and pass my classes. Even though I would complain to my peers and family I don’t think anyone really understood how bad my carpal tunnel had gotten. I would be driving and my hands would lock up and apart from panicking I’d have to use my knees or wrist to turn, it was a mess. Sometimes I felt like I had mannequin hands. Anyways when I started training BJJ in 2010 I was apprehensive because all of the grip work. If I couldn’t even wash my own hair without pain I knew that gripping the gi continuously was going to be a huge hassle, and it was…at first. For the first few months I can actually remember experiencing a great deal of pain and strain. 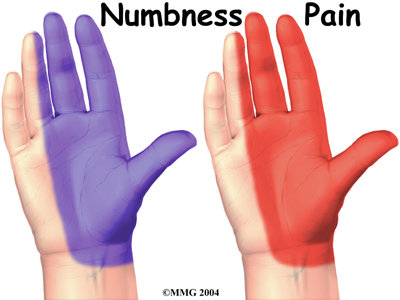 However as my game progressed and I identified an appeal towards spider guard and the 4-finger sleeve grips I noticed that this specific practice resulted in fewer occurrences of pain, tingling, and most importantly numbing in my hands. Instead of experiencing these symptoms a couple times a day, I went to just a few times a week and now four years later I’m at a few times a month and I’m doing more computer work (due to finals) than ever. I chose to write this post because many people have so many excuses for avoiding bjj or certain activities and I think that it’s very important to find ways to adapt an activity for participation. When I first started and I couldn’t maintain a grip for long periods of time then I would “cup” my hands or make slight adjustments. I’m extremely glad that I chose to continue this activity because apart from my emotional, mental, and other physical benefits relieving me of the painful and expensive symptoms of having carpal tunnel syndrome has been wonderful. When I was initially diagnosed and pitched some options I was extremely apprehensive about getting the surgery because it was very expensive, they had to operate on one hand at a time, and even worse many studies showed that after surgery symptoms reappeared. That just didn’t seem worth it to me and I’m glad that I just so happened to stumble upon a much better alternative remediate practice. Even when my CPS flares up from time to time I don’t experience pain or discomfort for nearly as long and it’s not as severe as it once was. I can perform tasks like typing papers for longer periods of time however I do still have difficulty with other things like combing or washing my hair because of the fatigue I still experience. Now every person is different. Excessive grip work may not be best for all but if you’re just starting out or thinking about BJJ and this is something that you’re having trouble with I’d highly recommend that you stick it out and observe the improvements. ← My thoughts on the NCAA Tourney!